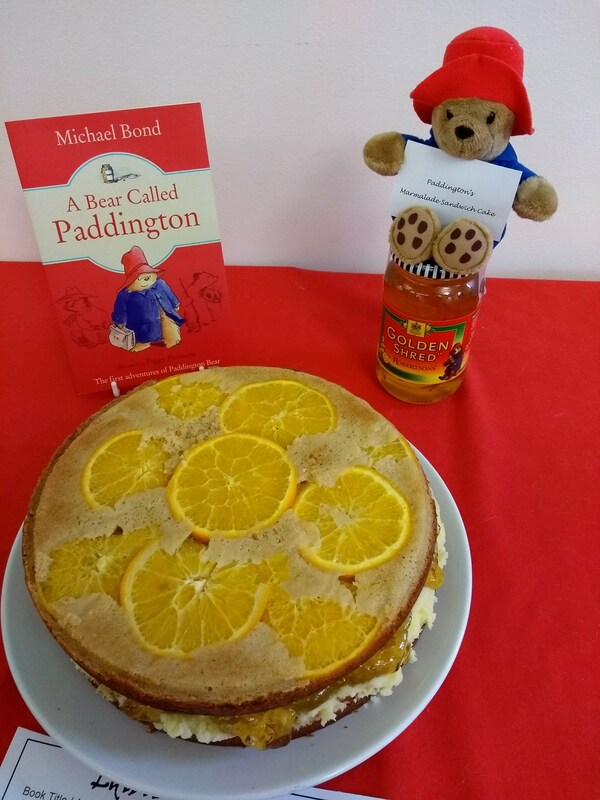 On Thursday 1 March the Radcliffe Science Library will be holding our 3rd Annual Edible Book Festival to mark World Book Day! This event is free and open to any member of University – students, staff (including Bodleian Libraries staff) – and external readers. 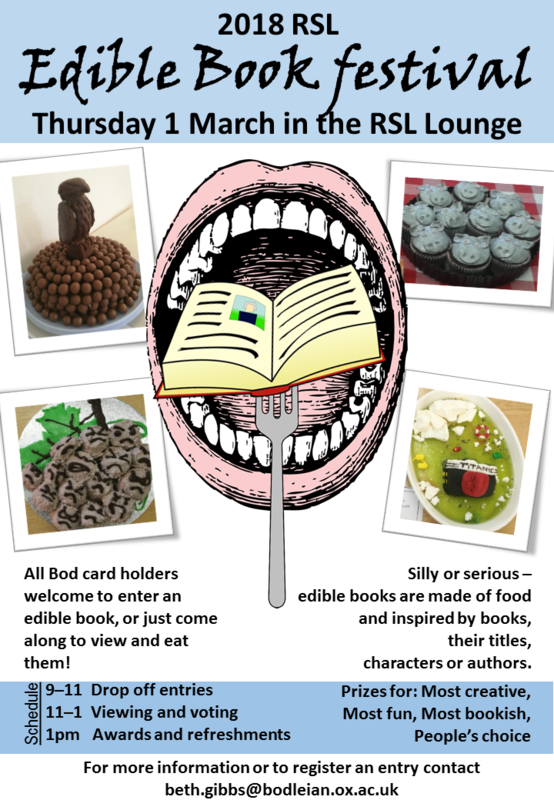 Everyone is invited to enter their book-themed culinary creations by bringing them to the RSL Lounge between 9am and 11am on Thursday 1 March. Edible Books are art pieces composed of food that are ‘bookish’, i.e. based on and represent a book title, a book cover, a character, a plot element or theme, or any other attribute or characteristic directly associated with a book, including its form. All entries will be exhibited, documented, then eaten! Even if you don’t have time to make your own edible entry, please join us in admiring and tasting the creations – and vote for your favorite. The entry with the most votes will be awarded the People’s Choice award. At 1pm everyone will grab forks and we will “eat our own words”! Take a look at last year’s entries (http://blogs.bodleian.ox.ac.uk/science/2017/03/06/edible-book-festival-2017-the-entries/) or simply Google ‘edible book festival’ and you will find dozens of fantastic examples. Remember, you don’t need to be an expert chef. If you’ve got a great idea for an entry, we want to see it! For more information or to register an entry contact beth.gibbs@bodleian.ox.ac.uk. The rules and an entry form can be found at https://tinyurl.com/EBF18rules.